Submitted by lynn on Wednesday, March 23, 2016 - 11:55pm. Wine lover? Got that covered. 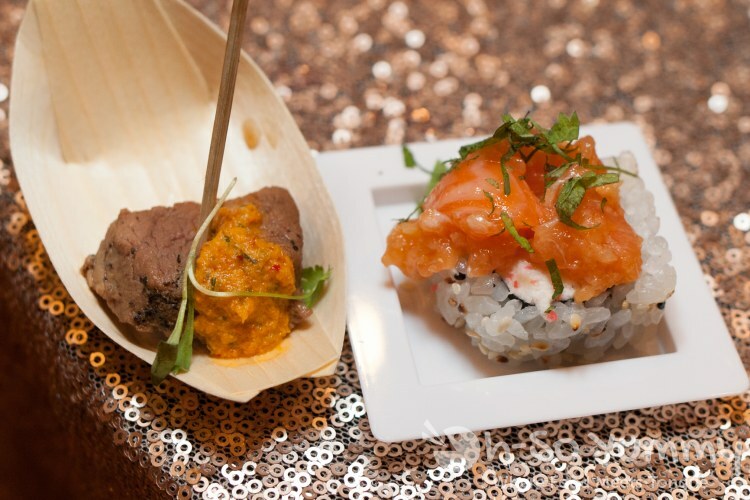 Curious of where to eat at Pechanga Resort & Casino? Got that covered too. 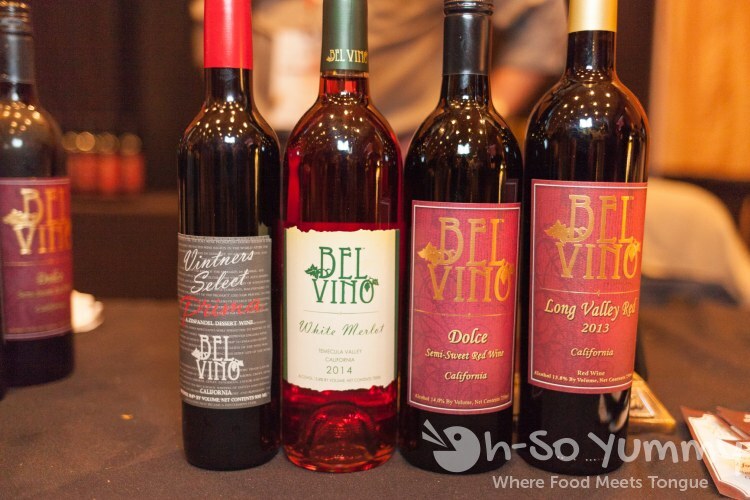 Pechanga had their 8th Annual Wine Festival on February 27, 2016 and we were invited to attend (following Chocolate Decadence the night before). 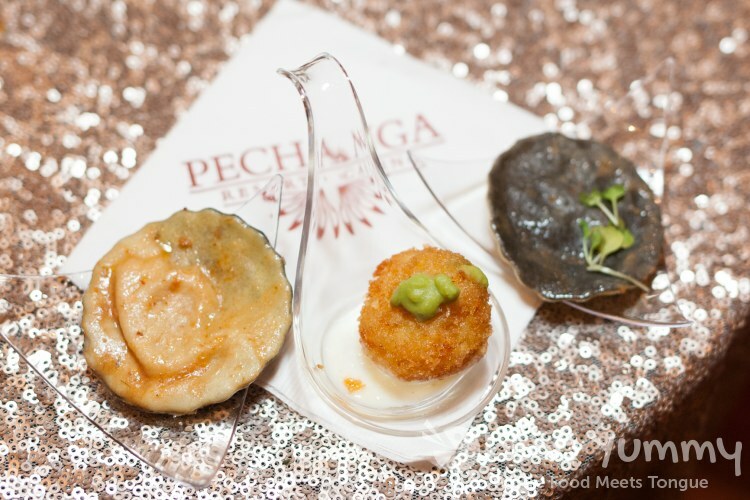 Not only were there multiple wineries for tasting, but many of Pechanga's restaurants were sampling their foods as well! Isn't that a convenient way to narrow down food options between all the casino fun? We made our way into the Pechanga Grand Ballroom around 1pm for general admission (VIPs enter at noon). Near the entrance was a display table with the big raffle prize, which included plenty of wine and spirits from event vendors. The proceeds from the raffle and other fundraising items goes to help the charity Habitat for Humanity Inland Valley. We always do food before drinks though! Never drink on an empty stomach! 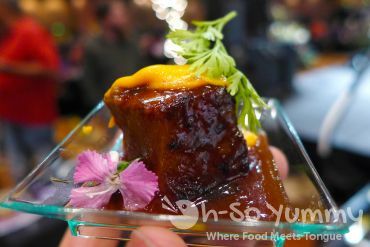 Journey's End, an upscale restaurant at Pechanga, served braised pork with port reduction and pureed carrots. This was so tender and we loved the fatty bits. Dennis thought the sauce was too strong but I enjoyed the porkiness of the glaze. 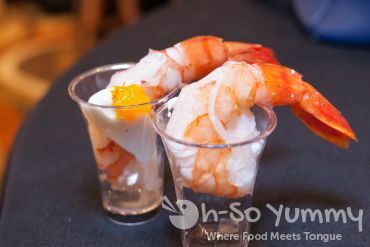 Another sample was the shrimp cocktail with fresh huge shrimp plus a great white sauce! 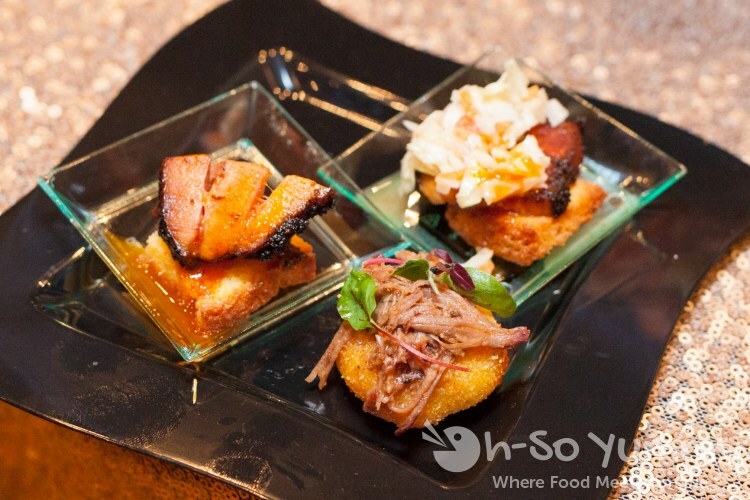 Kelsey's Bar & Grill is one of Pechanga's casual dining restaurants and provided smoked pork belly on corn bread crostini and BBQ short ribs over cheese grits. The top two items are actually the same: one shows the pork belly and the other shows the apple slaw on top. We actually had some of their food the night before as a post dessert snack (review coming soon). 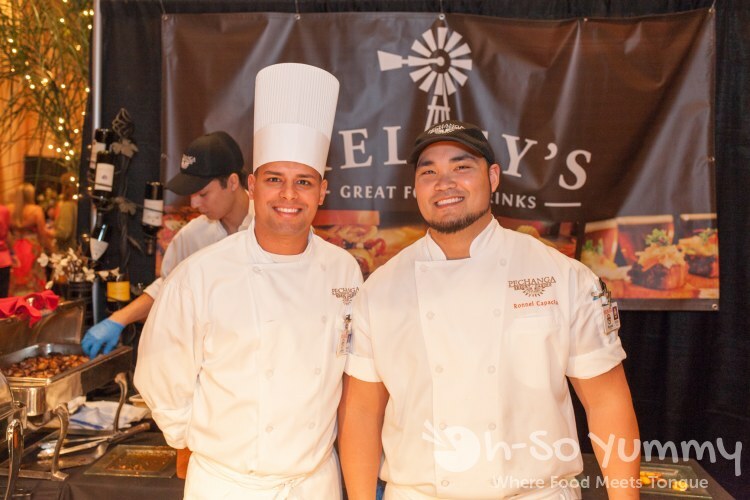 Hello to some of the chefs from Kelsey's! The Great Oak Steakhouse did not disappoint! First up for grabs was a delicious mini crab cake with a nice bite and hint of lemon in the tartar sauce. 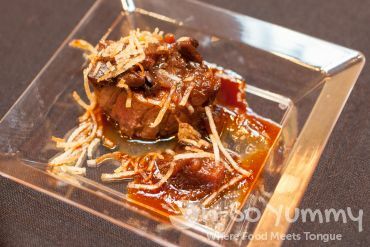 Meat lovers could rejoice over the filet mignon sample with a thick wine reduction and thin, crispy noodle sticks. 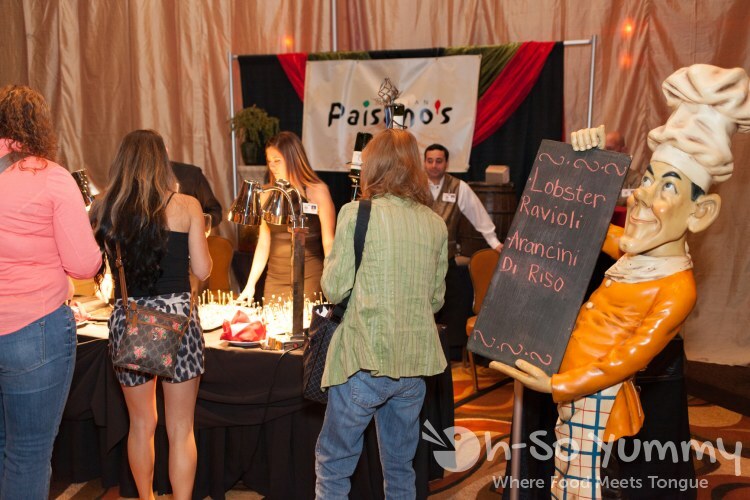 Here's the food station for Paisano's Italian to get an idea of the restaurant booth setups. I like the chef statue holding up the menu! Each station reflected the restaurant's personal style. Paisano's Italian had a lobster ravioli with two colored sides, one dark and one light (left, right). In the middle was a fried risotto ball though I wish it were straight out of the fryer pan when I tasted it. 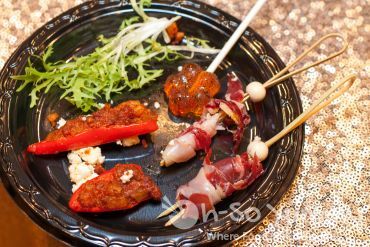 Pechanga Catering and Banquets had a food theme of "A Journey Through Spain." 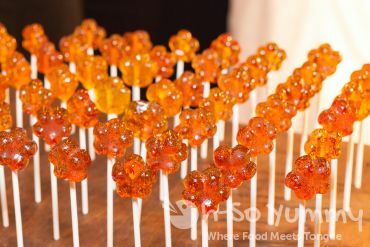 They had great stuffed sweet peppers with longaniza, shrimp and potatoes inside; jamon iberico skewers; and bright orange lollipops made from cava & cantaloupe. Umi Sushi had a beef skewer which didn't look that great but was surprisingly moist and tender. The salmon sushi just melted in your mouth. 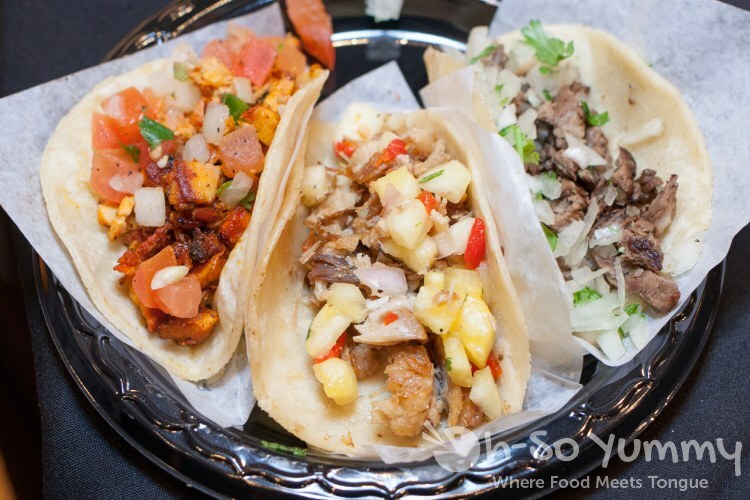 Pechanga Cafe served multiple taco flavors including pork, chicken, beef, shrimp and vegetable. They were a little on the dry side if you didn't add salsa! Pechanga has two asian themed restaurants. 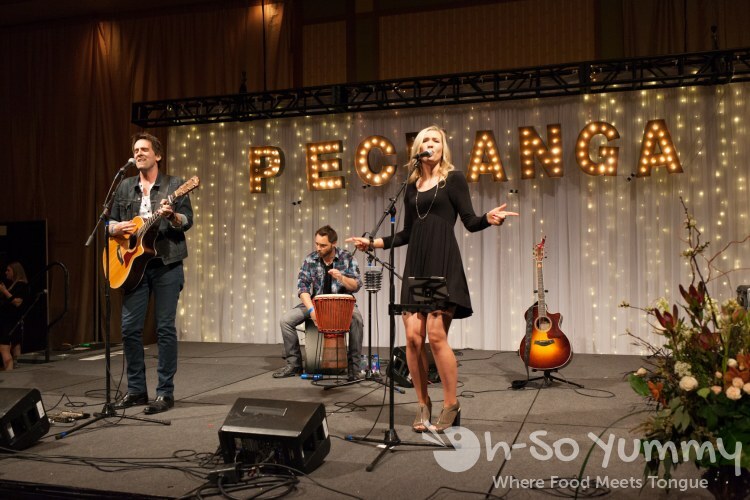 Bamboo covers multiple Asian cultures: Korea, Vietnam and China. Their sample was a sugar cane shrimp which usually has the sugar cane stick stick out as a handle. This one was hidden inside and I accidentally chomped straight through it on my first bite! 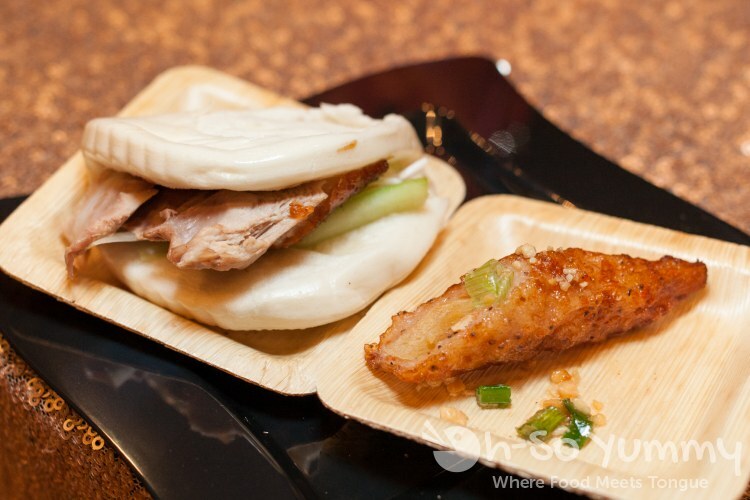 Blazing Noodle has Chinese/Thai cuisine and served peking duck in a bun. We liked the meat but it needed more sauce to help balance out the dryness of the bun. What's this? 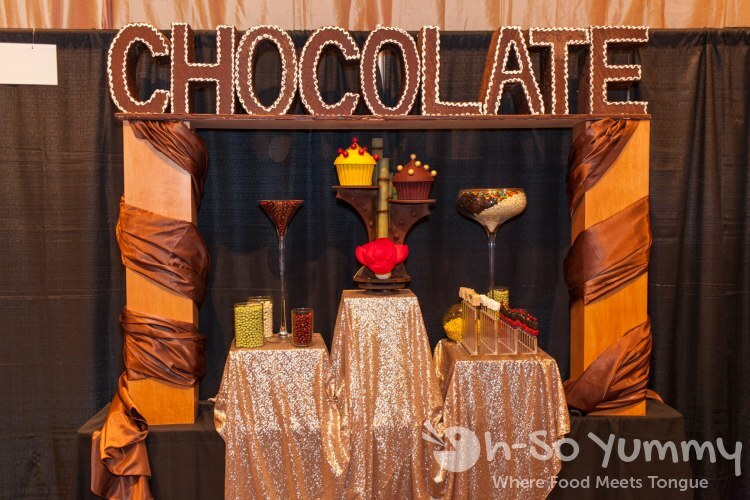 It's the CHOCOLATE station again! Although this event catered more to the wine lovers, there was still quite a good amount of desserts being served here. There were several tables worth of dessert with a line longer than most of the food stations. Good thing we got our chocolate fix on the night before! We also learned that this bobcat from the previous day was actually a CAKE! Amazing work! 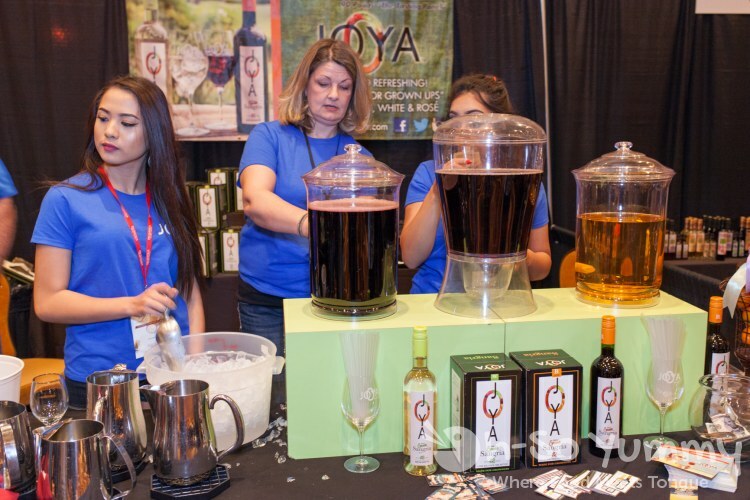 For the drinking portion, one of our favorite places to go back to was Joya. Their refreshing sangria was served chilled and they filled our glasses to the brim. The light taste just went well with a lot of the food we ate. 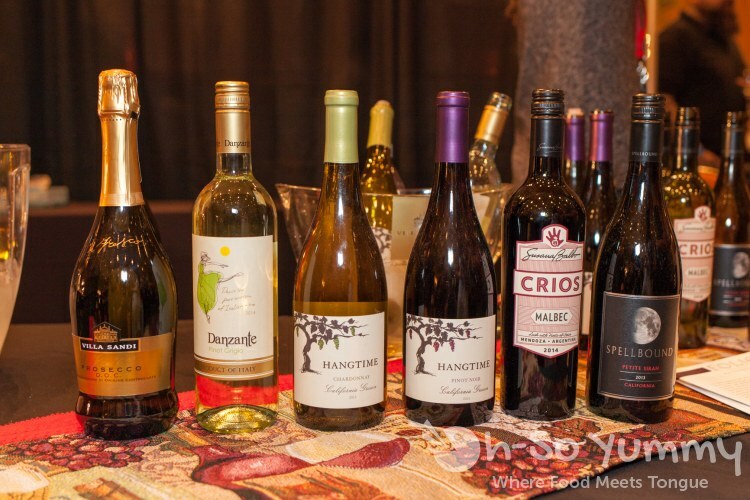 While waiting in the taco line for Pechanga Cafe, there were so many wines to choose from at this booth! 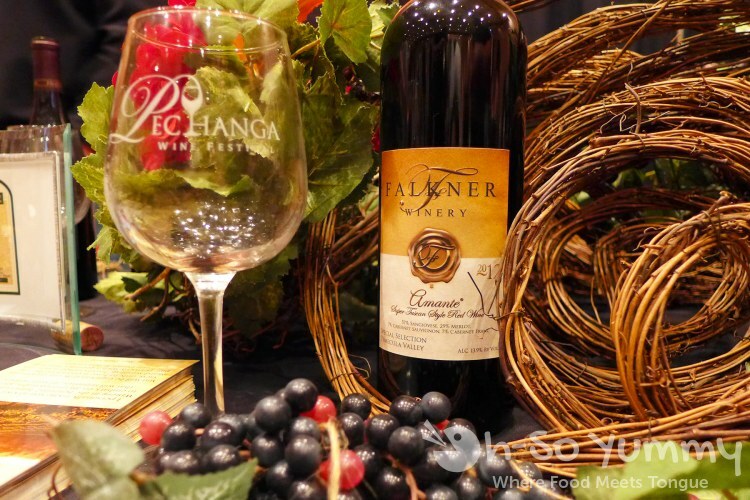 I loved the decor of the table serving the Falker wine. Here's the Bel Vino Winery again! Geyser Peak Winery chilled on ice. So many wines to sample... We spent more time filling and emptying our glasses than taking pictures at this point. 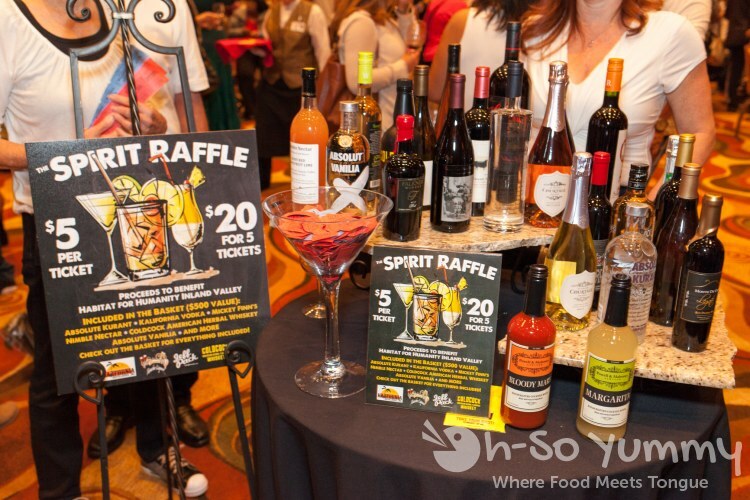 The full wine/spirits list is available on the event info page. For those who enjoy them, there was a station where you could purchase gourmet cigars, freshly rolled of course! 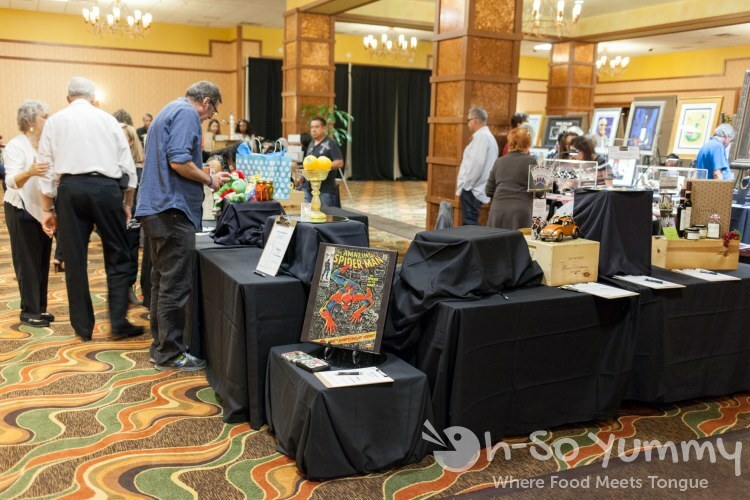 Outside of the ballroom were tables set up for the silent auction fundraiser. I was totally eyeing this cool spiderman art item but alas, have no spot for it in my home! Live entertainment to entertain the guests. And this is how we finished the night... with desserts! Just because we indulged the previous day doesn't mean we didn't have room for... a few more macarons! Just like the night before, this event was well organized and prepared. Fresh food was constantly and quickly served. Desserts were always restocked around the clock and some of the event staffers were kind enough to grab plates full of the desserts to offer people waiting! Even though some of the lines looked long, you were always moving forward. 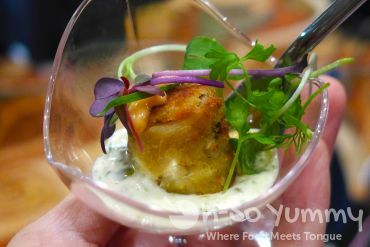 I loved exploring multiple casino restaurants in one place and we already know which ones we'd check out on a future Pechanga visit, such as Journey's End and Great Oak! 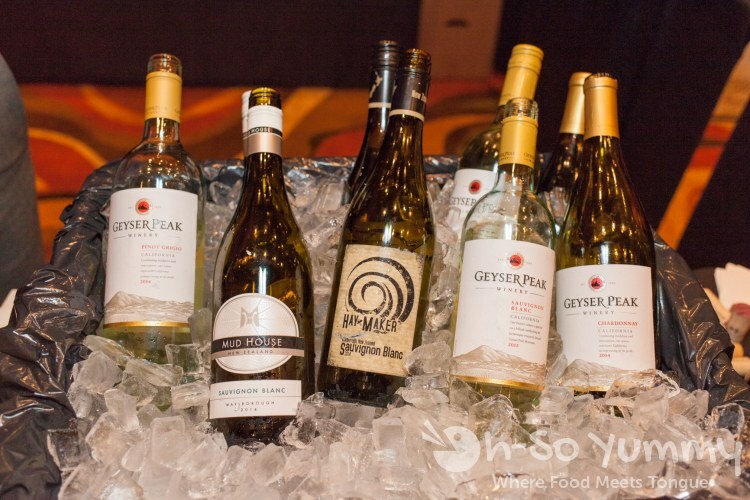 With so many wineries present, it'd be hard not to find something you would enjoy. Did I mention we could go back for seconds and thirds and on for food and drink? I'm game for next year. Nice round-up :) The cake is really impressive! Yeah, 2 days in a row! Wow. Did you stay there!? Haha. The food looks pretty good. We've somehow avoided these sampling events so maybe we are due. yea we stayed overnight! there are plenty of events coming up in SD so hope to see you at one! Oh look at you and your festivals again! More Pechanga fun! The shrimp cocktails look so cute in those tiny cups. Yum! All of the tiny little presentations look good though and since the bites are small you can try more things. festivals must be balanced out with more workouts though! these unlimited bite sized samples can really fill ya up after a while! 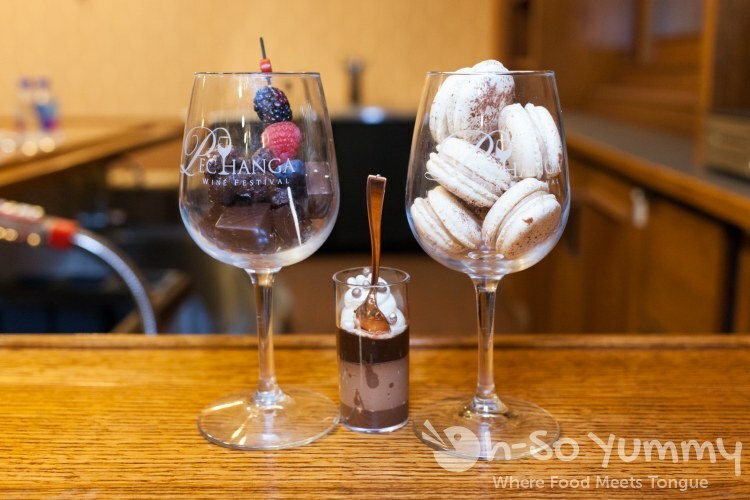 I would definitely crush those desserts and drink a lot of wine at that festival! Looks like fun! 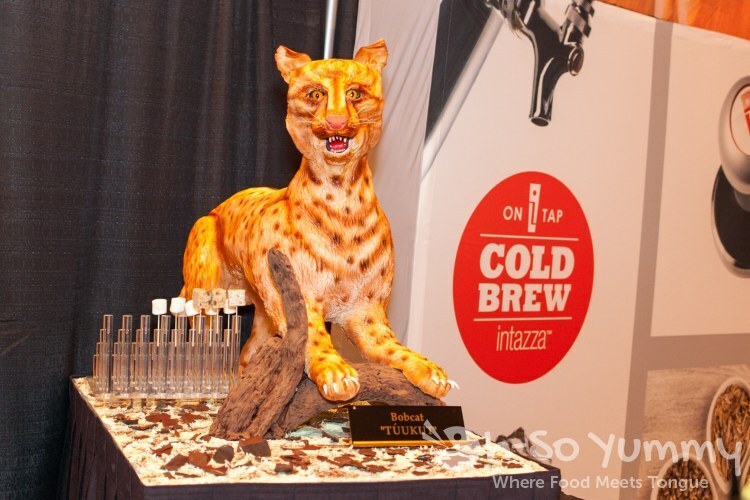 I can't believe that that bobcat is a cake... looks amazing!